You know those albums that prove to be such a goldmine of musical talent and enjoyment, and yet, for some reason, fail to get the credit they deserve? That might as well have been the tagline for Good Tiger’s debut A Head Full Of Moonlight, a progressive rock album that remained challenging but also totally accessible, and yet flew under the radars of pretty much everyone. It’s hard to see why as well; the music itself was stellar in its own right, and a lineup comprised of TesseracT, The Faceless and The Safety Fire alumni would have hurt for extra brand recognition. 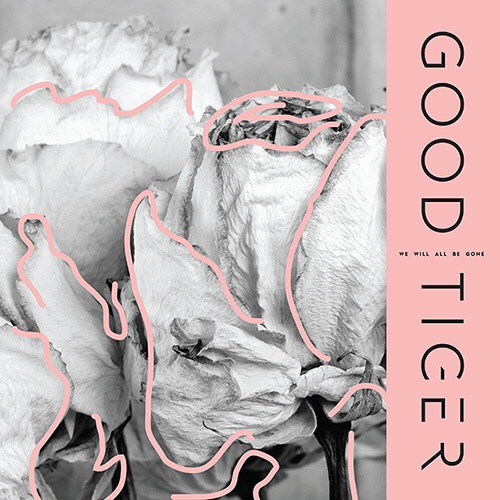 But alas, Good Tiger became and subsequently remained severely underrated, and given the total lack of noise made for their We Will All Be Gone, that seems to be unfortunately sticking. And honestly, the reasons why this band thrive are so plain to see, but it doesn’t mean they don’t work as well. The biggest asset is obviously Coleman as a frontman, with a smooth, insanely high register that takes tracks like Float On and Salt Of The Earth to truly stratospheric heights. What’s more, it never feels forced or strained, rather natural enough to complement the fragments of atmosphere that wash through Good Tiger’s sound, and even if the odd moment could benefit from going a little bit harder and pushing himself a bit more to reach his upper limit (Such A Kind Stranger being the obvious example), there’s barely a foot put wrong in terms of performance, even reminiscent of Coheed And Cambria’s Claudio Sanchez at times in terms of backflipping, pop-leaning vocals that tie together more progressive instrumentation. Even then though, there are strains of Coheed And Cambria that can be found elsewhere on We Will All Be Gone too, most notably in an instrumental direction that remains slightly more off-kilter than a typical rock album, but is grounded in a clear alt-rock influence that ensures nothing ever flies off the handle or becomes too self-indulgent. This is perhaps most evident on the instrumental passage Cherry Lemon with its twinkling guitar line and skittering, loose-limbed drum work courtesy of Alex Rüdinger, but also on the swooping opener The Devil Thinks I’m Sinking and the anxious, jittery guitars of Nineteen Grams, it’s evident that Good Tiger are gunning for a more accessible output than is often attributed to progressive bands, but actually putting the work in to stand out rather than resorting to sinking into a mould. Even on the sweeping crescendo that build on closer I’ll Finish This Book Later, arguably Good Tiger’s most straightforward track that sees them at their most ready for primetime, there’s a bit more tact and dexterity woven into the acoustic guitar that’s used in a much more effective way. Ultimately, We Will All Be Gone mightn’t be the most groundbreaking album that 2018 will see, but if Good Tiger ever do the shot at the mainstream they deserve, what they can offer is much more diverse and potent than a lot of their prospective competition. This is an album that manages to be accessible, but also crafted with the layers that make it an exponentially deeper and more fulfilling listen, particularly when that’s translated to the band at their most gutsy and bombastic. More than anything, Good Tiger deserve to be given a chance; there’s definitely a place for this band in the upper tiers of the rock world, if only people sit up and give them the attention they deserve. ‘We Will All Be Gone’ by Good Tiger is released on 9th February on Metal Blade Records / Blacklight Records.